Over most of the last century, the market town of Tullow has been an arena of invention and modernisation by the Flynn family. But it was 1990 that saw the business begin a process of revolution that would see the family-run firm become a dominant part of local retail. Opened in the 1920s, Flynn’s Tullow was known more for car sales and farm machinery. But it wasn’t until ’94, when their first supermarket opened and a canopy was added, that the site began to look like a modern-day forecourt. At three acres, the Co Carlow complex has long been a hub of commerce in the town, and today its modernity and scope of offer remain unrivalled. It would prove a simple realisation that continued the constant evolution which began with his grandfather Tom almost a century ago. 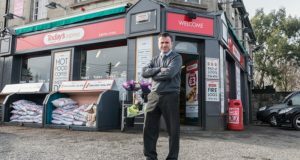 The store was expanded and joined the Spar brand in 2000 and had made an early foray into the growing food-to-go market, with a Supermac’s Fresh Express joining the site in 2007. Another major step in heading off these external threats was the introduction of an off-licence in 2012, while Insomnia Coffee was added in 2014. Then, a Smooch ice-cream mini parlour, Subway, and Papa John’s Pizza were opened in 2015. 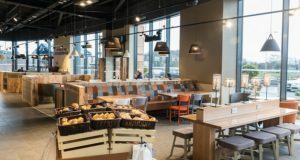 Also guiding the business toward food service was the company’s 2004 decision to develop a third of its site for Aldi with a shared car parking arrangement (a first for the German retailer in Ireland). Ray explained that the Aldi next door is just the beginning of the competition in Tullow. The town also sports three supermarkets, another forecourt, and three further convenience stores. It was a plan that needed to work. Throughout the recession, Tullow maintained a high level of unemployment, up to 3% above the national average. “That made it a very price-conscious town,” he said. To combat the potential falls in revenue, Ray said the business focused on increasing transaction counts and improving average spends. Another factor in the forecourt’s success was joining the leading fuel brand Top Oil after 84-years with a former brand. For Ray, it marked one of the most pivotal decisions he had taken. Ray said: “In 2012, Top Oil approached us with an offer that really suited us, but it was a big wrench to move away from our previous partner we’d worked with since the 1920s. The change was remarkable and instantaneous. Fuel sales litreage increased by 37 per cent in year one, with growth maintained since then. “Top Oil has a strong local connection and footprint in the area, and we knew we didn’t have to market Top Oil as a ‘value brand’ because Top Oil had driven that message in our area for a number of years. 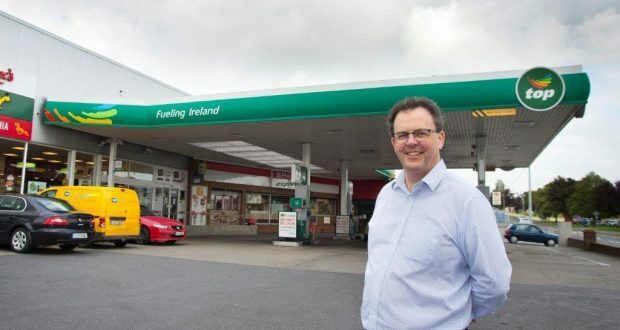 Ray told us that Top Oil also helped ensure every aspect of the business grew, supporting a number of improvements throughout the forecourt, such as improving the appearance of the exterior and pumps. 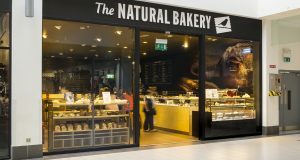 With the business packed with World-class brands, leading in growth areas such as food-to-go, most would be reaching around to pat their own backs. But for Ray, it’s only the beginning in the business’s next evolutionary stage. We’re sure he’ll make the right decision.